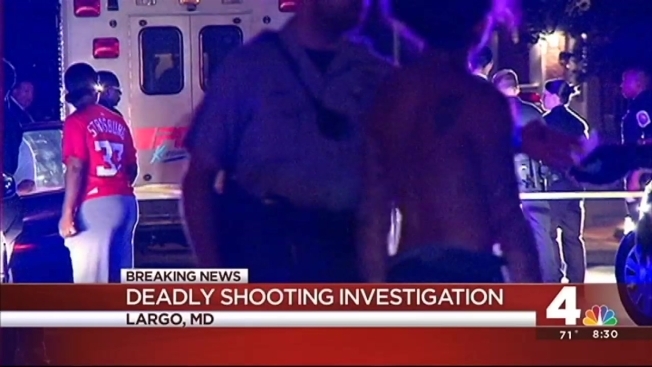 Man Dies After Shooting in Largo, Md. An 18-year-old man was fatally shot in Largo, Md. Friday night. Joseph Titus Ayobami Abariko died after he was found with a gunshot wound to the upper body, police said. Officers responded about 11:35 p.m. Friday to a report of a shooting on the 11500 block of Bennington Drive. Abariko, of Riverdale, Md., was pronounced dead at the scene. Police said Abariko was at a home on Bennington Drive to attend a party and that it appears the shooting may be connected to a fight that broke out outside the home. Police said detectives do not believe the shooting was a random act and that they are working to identify a motive and a possible suspect or suspects in the case. Anyone with information about this homicide is asked to call the Prince George's County Police Department's Homicide Unit at 301-772-4925. Callers who wish to remain anonymous can call 1-866-411-TIPS or text PGPD plus a message to CRIMES. Tips can also be submitted only at www.pgpolice.org. A cash reward is offered for tips that lead to an arrest and indictment of the shooter.